ATTENTION Hair Stylists: Your Clients Need Your Help! Last weekend I went to get a haircut and color. The cut and color were phenomenal and I left the salon looking like a million bucks. Later on, I got to thinking and realized the stylist missed a huge opportunity. I had these wonderful beach waves that I always try to achieve, but she didn't tell me how to style it! Retail is so important to your business. I get it, you don't want to be pushy. However, some of your clients may need the help and are too shy to ask. If you don't tell them what you are using and show them how they may never ask. It was a very hot summer, and if you are like me, you were busy throwing your hair up, because what was the point of doing anything to it before walking outside? The season has changed, and the good hair weather is upon us! Your clients are coming in for a color and cut, and they are excited about the new look. It is up to you, as a stylist, to show them what to do with it! Are you asking about their blow dryer at home? Because not only is it cute, reasonably priced, and easy to use, but it gives great results! Six heat and speed settings, a cool shot button and a concentrator nozzle provide a wide range of styling options! Plus the removable filter makes cleaning easy. What about a high-quality brush? 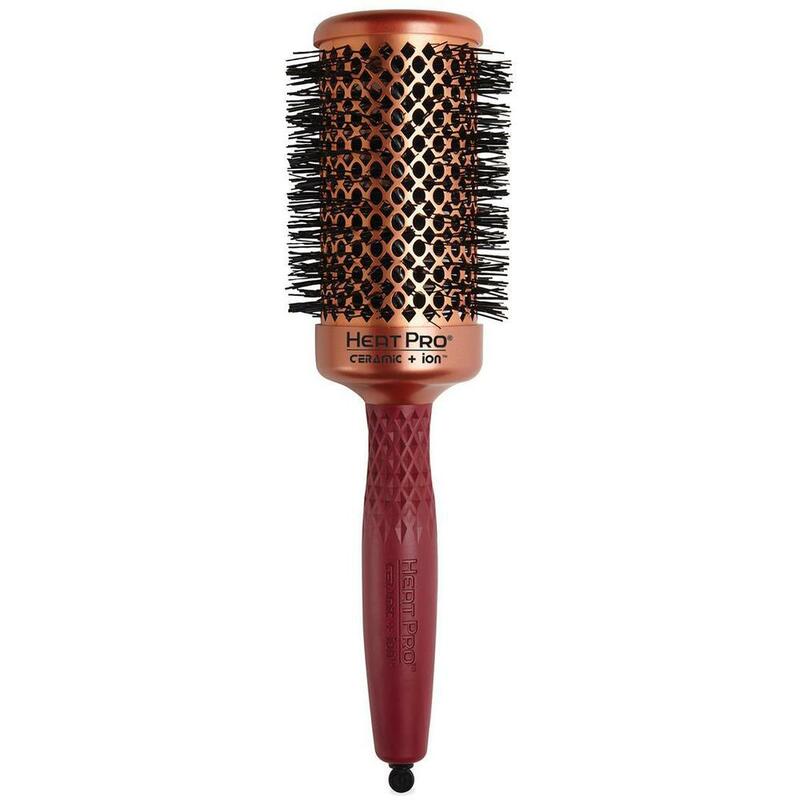 My pick: Olivia Garden Healthy Hair HeatPro Thermal Round Brush / 2.125"
These HeatPro brushes feature copper ceramic technology which allows the barrel to heat up twice as fast and retain heat much longer. Best used for small to medium curls, waves, and volume! They give that soft curl for normal to thick hair. This is so important! Not all brushes are suitable for certain hair types, and as a customer, that is not something I always knew! Maybe your clients don't know what they need! Leaving the salon with those beach waves is the best part of the haircut! They show off the hair color, and I always feel like some kind of celebrity. Do you know how many people struggle to style their hair at home? We need your help! 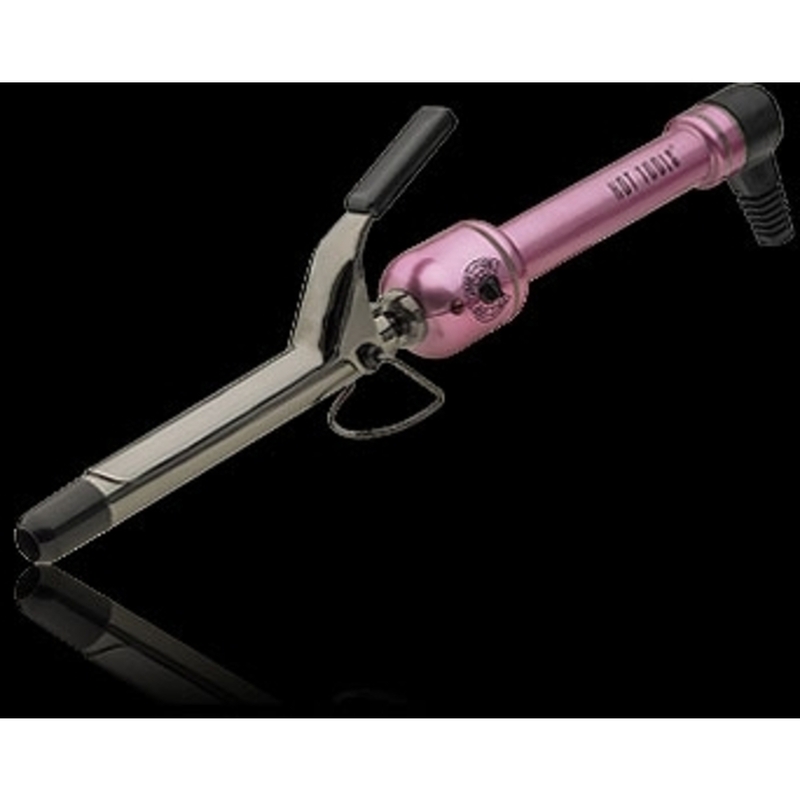 Don't forget to find out what they use at home for a curling iron! Because it's pink! It also is great for smaller sections of hair, that give that natural beach look, that I love! Don't be shy, stylists. Your clients come to you because they respect your opinion and what you do! We need your help! Invest in some retail options this season! With the change of season comes the change of hair. Your salon is getting busier and you may just be ready for a small upgrade to make your busy days easier! 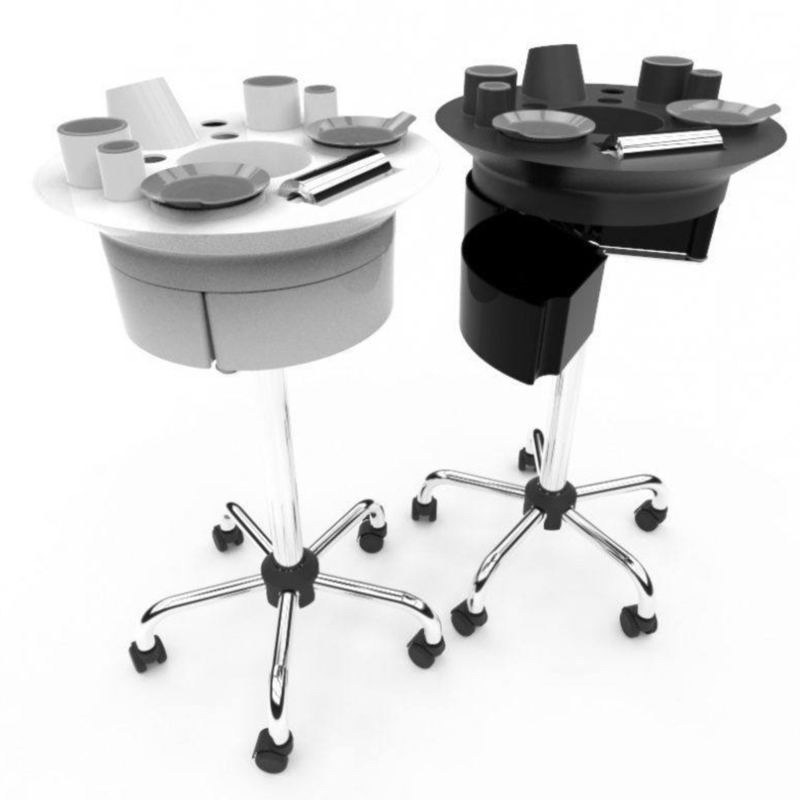 Check out our new trolleys by PIU Saloni!! They are made with Polycarbonate plastics which has a strong resistance to corrosive chemicals and a strong shell. 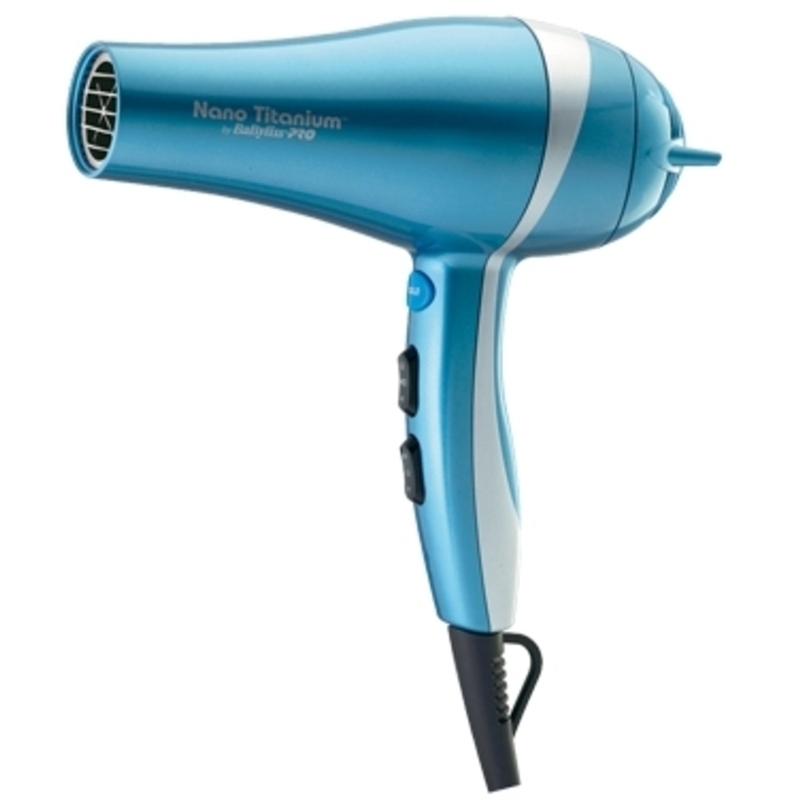 It is perfect for everyday use in a beauty salon, Barbershop, Spa, or wherever your needs arise. It has all of the cut, color, and styling needs in one place, and keeps it simple to stay organized! The top features a blow dryer holder, built in appliance and brush holders with removable cups, and a space for scissors and brushes. This cart has a Z like frame with open drawers providing easy access to all of the styling needs. There is no other like this on the market. Appliance Holders: Blow Dryer, Removable trays, Brushes, Scissors or combs, a towel holder, 3 small open plates and 1 large open plate. The Trolley Lite Plus is perfect for the salon, barbershop, spa, etc. beauty needs. The top features a blow dryer holder, built in appliance and brush holders with removable cups, removable tint bowls, and a space for the foil sheets. The Lite Plus has 3 magnetic drawers for storing the extra needed accessories for the cutting, tinting, and styling needs. This cart has a 360-degree rotation providing easy access to all of the equipment. 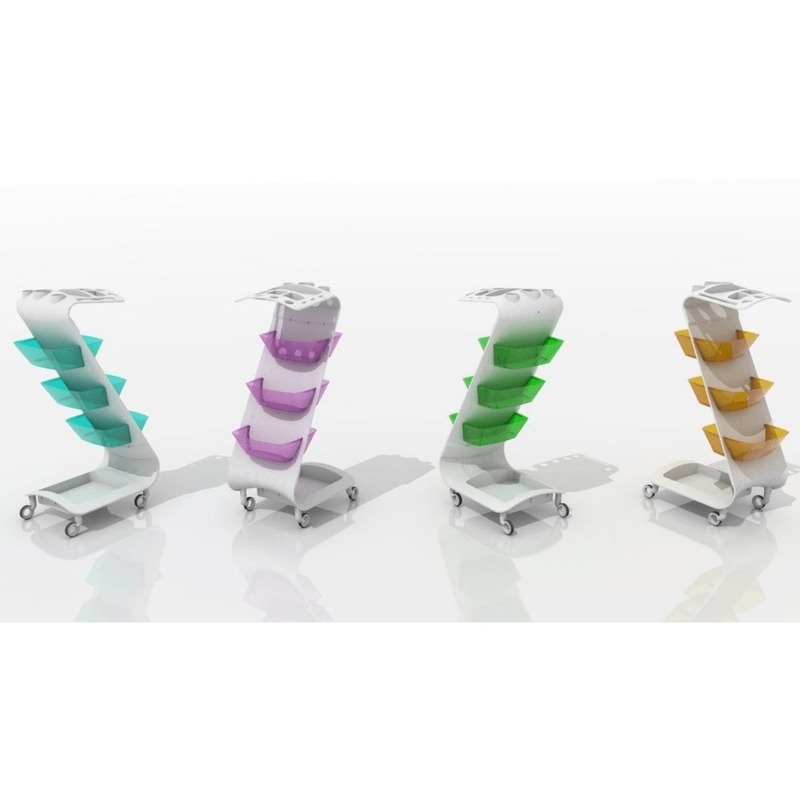 The Trolley Lite is perfect for the salon, barbershop, spa, etc. beauty needs. 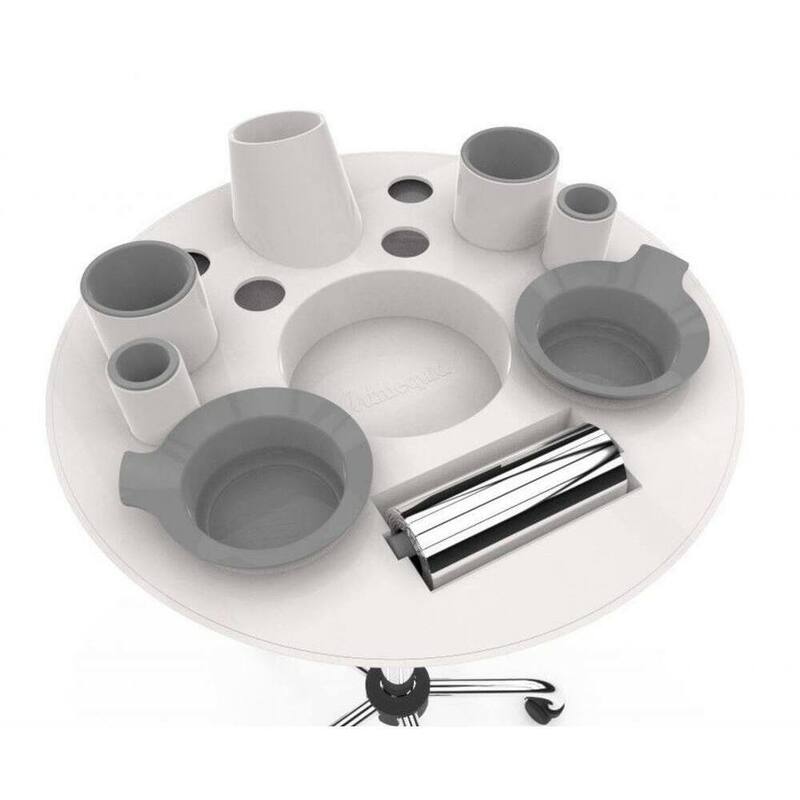 The top features a blow dryer holder, built in appliance and brush holders with removable cups, removable tint bowls, and a space for the foil sheets. This cart has a 360-degree rotation providing easy access to all of the styling needs. The STARS Photo Competition - What's New for 2013? The popular STARS photo competition in Chicago, IL that has been around since 2000, has added new and exciting categories for their 2013 contest! This STARS contest is open to salon professionals who have been licensed for more than three years and the newly added RISING Star category is open to ONLY students who are currently enrolled in an accredited cosmetology school. The contestants entries are judged on technical merit, execution and suitability of the styles of each category, and also concept and overall approach. A select panel of leaders in the industry will be the final judges. The deadline for entries to this contest is January 25th, 2013! Get all your hair supplies here at Pure Spa!! We have everything you need to create your outstanding looks to be entered!